Mid-island complex, beautifully landscaped in a quiet natural setting and an easy direct short walk to the beach. Three bedroom, two bath condo, on the 1st floor, fully equipped kitchen with granite countertops and new W/D, living area with flat screen CCTV, and a flat screen CCTV in the master bedroom. 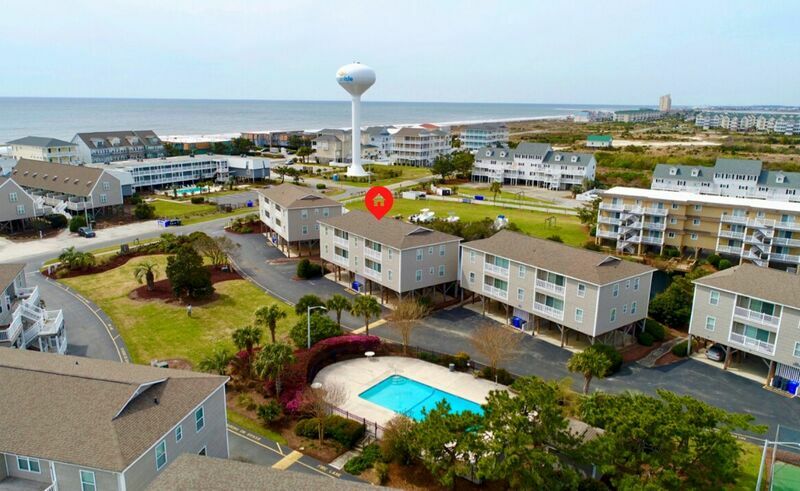 Ceiling fans in ALL rooms.Covered parking is available, as well as tennis courts and pools, including an oceanfront pool! WIRELESS INTERNET SERVICE! 3 Bedrooms Queen, 2 Doubles, 2 Singles, and Queen Sleeper Sofa. 3 flat panel TVS, Dishwasher, Washer/Dryer, Microwave, Washer/Dryer, Covered Porch, Sundeck, Linens provided by request for nominal fee! No pets allowed.